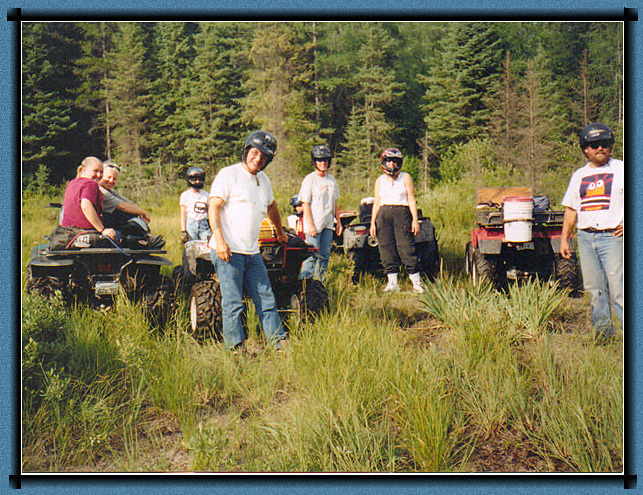 Here at Flame Lake Lodge, there are lots of trails and old logging roads, which are great for ATVing. You can spend the whole day exploring the vast wilderness of the Chapleau area. We can guide you for a ride or you can go out on your own. There are lots of interesting landscapes and beautiful scenic vistas to enjoy. 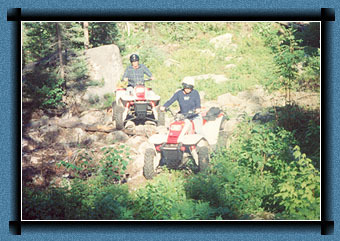 The law in Ontario requires that you wear a helmet and carry proof of insurance for your ATV.